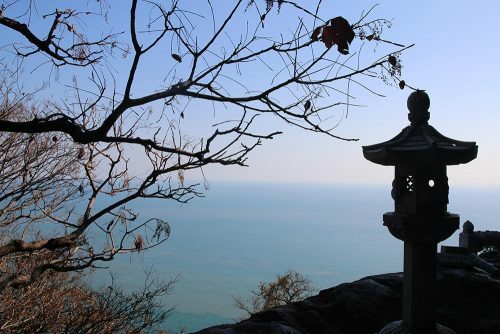 Located between rocks in the middle of the mountain and with an amazing view of the ocean, this is a very unique temple. 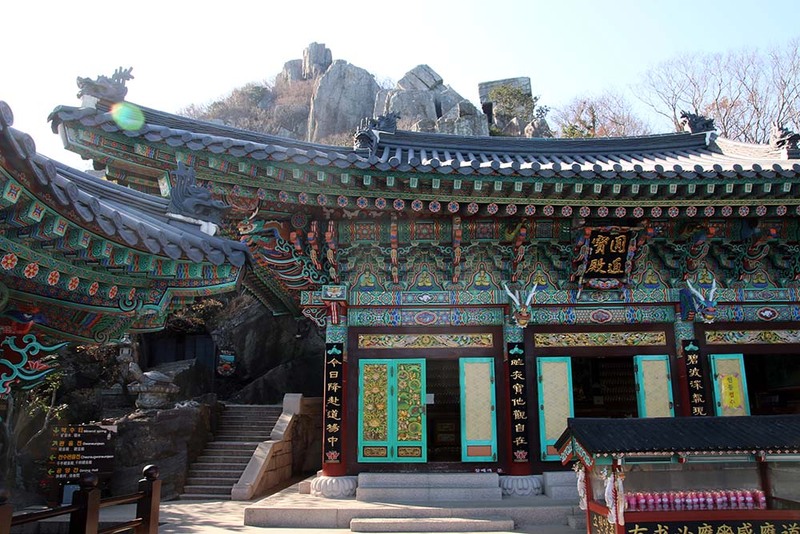 It was built in 644 by Wonhyodaesa, who was a great Buddhist master in the Shilla Dynasty. In this temple you will see a lot of statues of turtles. In Buddhism religion, the turtle is a symbol of constant happiness. 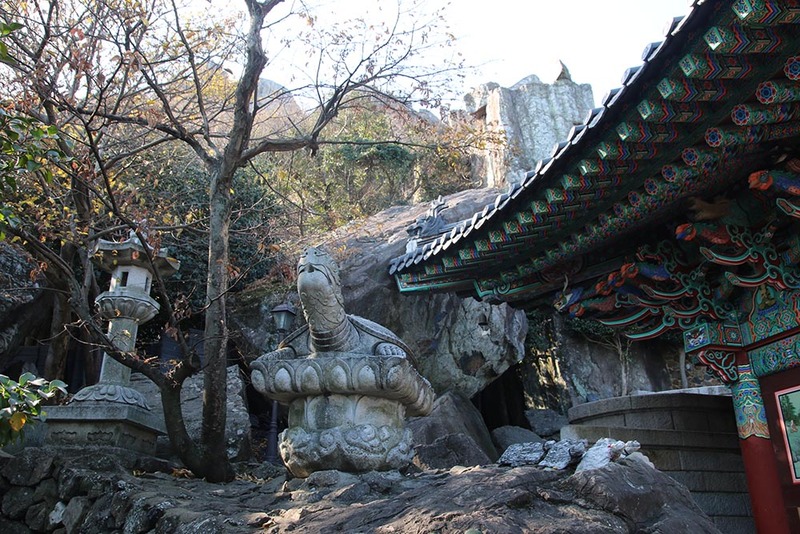 Also in some ceremonies, Koreans buy turtles and make them free in the ocean. 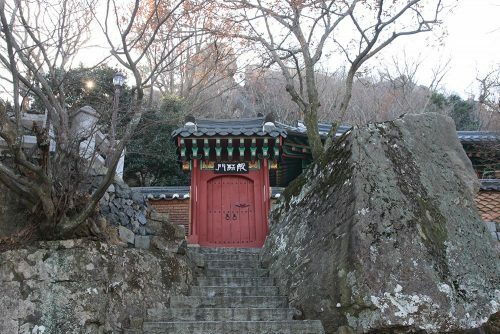 The entrance fee is ₩2,000. Hyangiram temple is located in the Island of Dolsando, which is connected by a bridge from Yeosu. It takes about 40 minutes by bus from the city center of Yeosu. 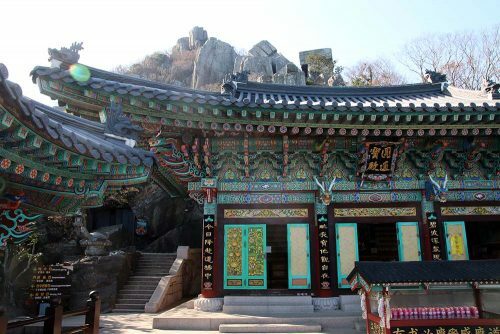 There are regular buses (every 15-20 minutes) from Yeosu city center to the temple. Take the bus number 111, 113 or 116 all of them from the same station. 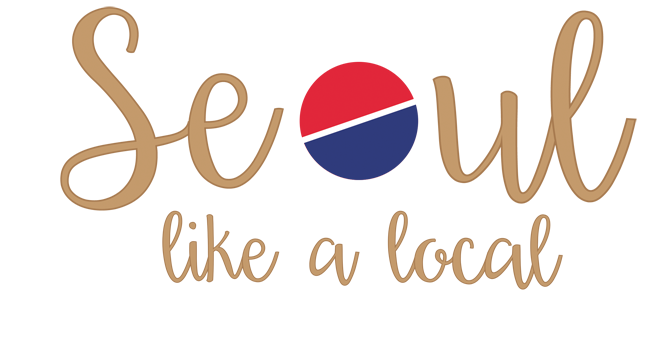 Ask in your hostel or hotel and they will tell you how to get to the closest bus stop. The same works to come back. It’s the last stop so you don’t need to worry about missing the stop. 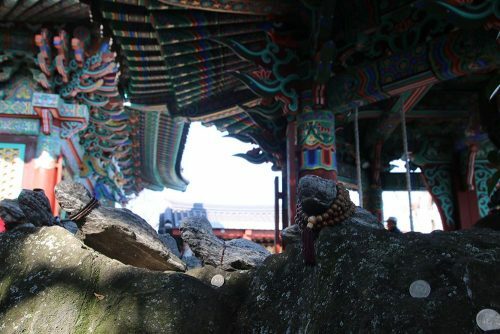 You will arrive to a small village and you have to walk about 10 minutes up in a very steep slope to get to the temple. 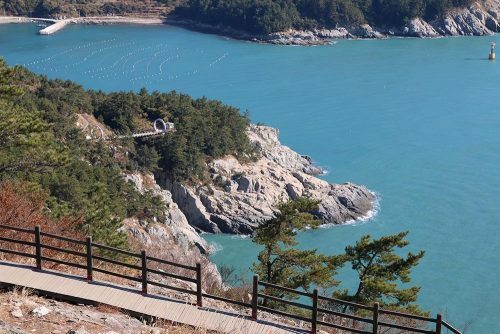 Not only in Yeosu but all over Korea, it is really common to go to fish markets to eat fresh fish and seafood. 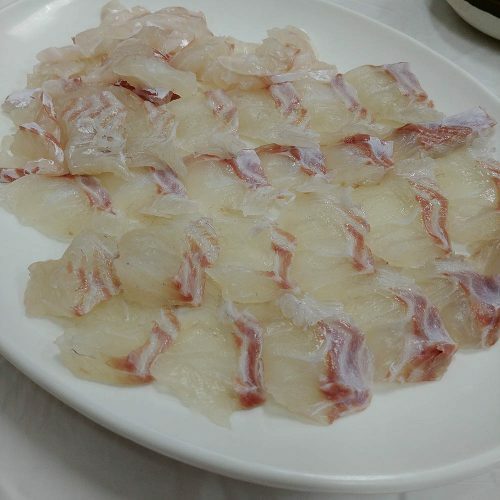 You just need to buy the fish or seafood in one of the stalls and go to a restaurant to get it cooked. Generally, these restaurants are inside the fish markets. This is a great experience and also the best way to eat fresh fish or seafood. 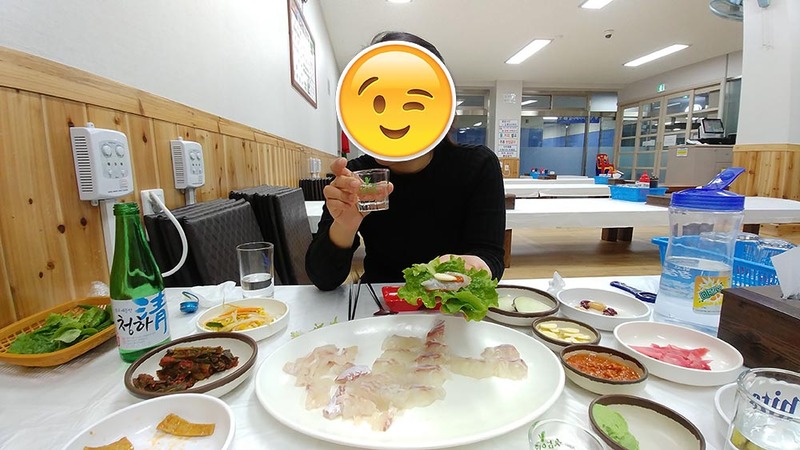 I love going to the market choosing which the fish and eating it raw with a glass of beer or soju (Korean rice liquor). 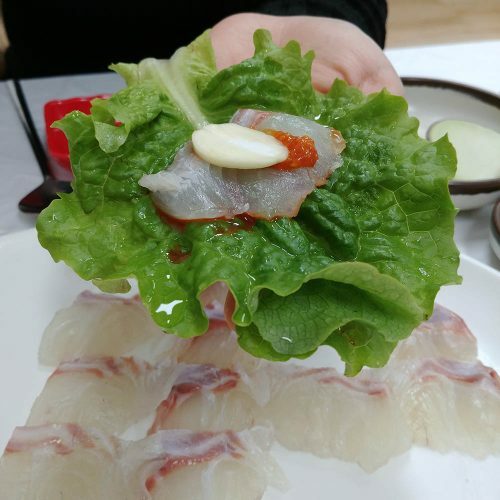 The typical way to eat raw fish is to put a piece of fish on top of a lettuce with a piece of garlic and chilli paste. If you buy a fish to eat it raw, you can ask the person in the restaurant to make a soup made with the bones. The name of this soup is known as Maungtang (매운탕). First, you need to pay for the fish in the market. Depending on the fish, the price will vary. The sellers in the stall will recommend you the best option according to the number of people and the price that you want to spend. In our case, we bought a white fish for 2 people for ₩33,000. In Noryangin, the most popular fish market in Seoul, you will pay around ￦10,000 more. 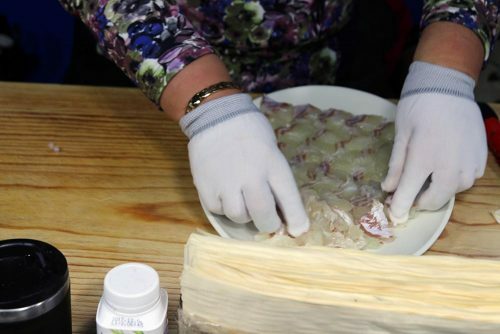 After you buy the fish, the seller will help you to one of the restaurants. In the restaurant, we paid ₩3,500 per person for the side dishes and overall service. Then ₩5,000 for the soup made with the bones that I mentioned before. The soup was huge. You need to pay for the drinks, unless you drink water, which is always free in Korean restaurants. Also, the standard ￦1,000 for each rice portion. The fish market of Yeosu it’s located in the city center. 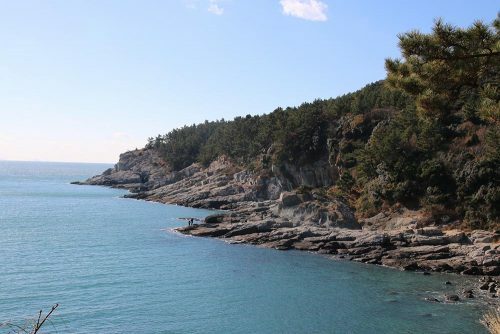 The Island of Geumodo (금오도) is an amazing natural paradise to enjoy hiking. 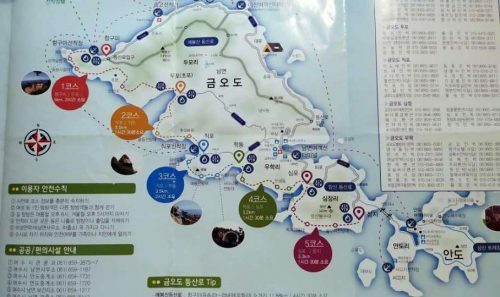 There are 5 tracking courses known as bileong-gil (비렁길) that border the south coast of the island. 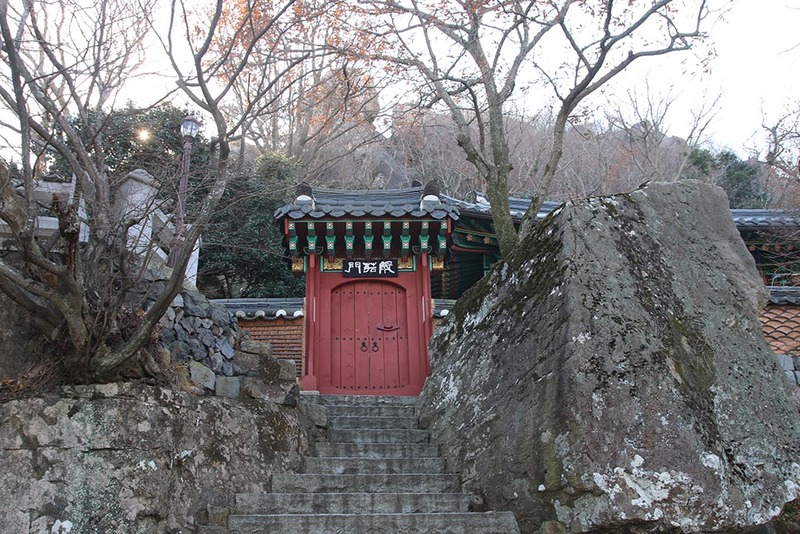 It is important that you remember “비렁길” as you have to follow the signs with this written on. 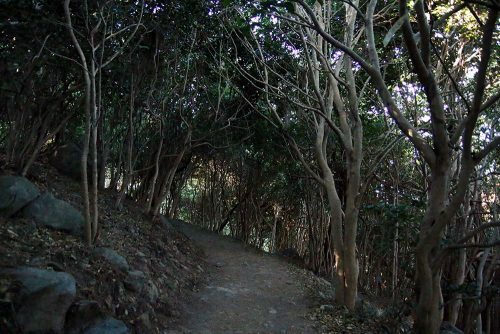 But don’t worry, the path is very well indicated and it’s very hard to get lost. Depending on the time you want to spend, you can do more or less courses. Some local people recommended us to do the course 3 and 4 so we decided to follow their advice. 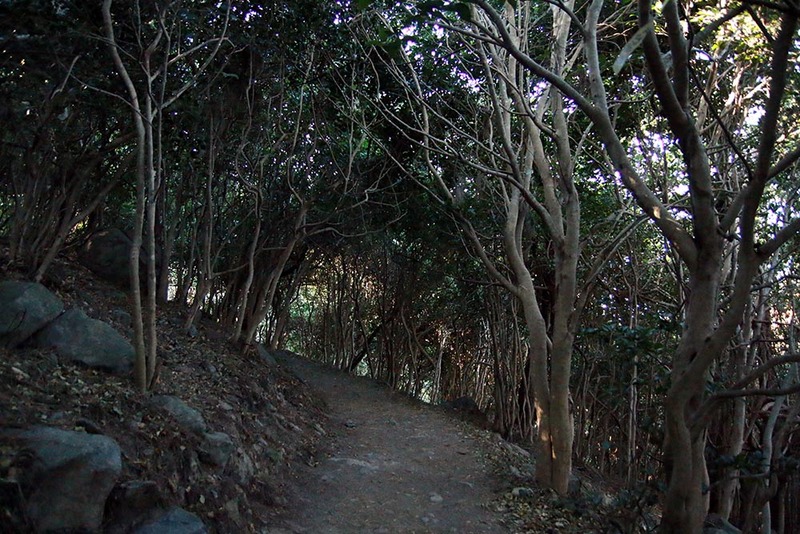 The mix of forest with the sea view was really beautiful. It took us about 4-5 hours to do course 3 and 4 going quite slow, including a 30 minutes break for eating and many pictures on the way. I would say that the difficulty level is low. Course 1: 5km. 2 hours. Course 2: 3.5km. 1 hour and 30 minutes. Course 3: 3.5km. 2 hours. Course 4: 3.2km. 1 hour and 30 minutes. Course 5: 3.3km. 1 hour and 30 minutes. At the end of every course there is some place to get some food. At the end of the course 3, there a really small shop with instant noodles and some chocolate bars, this was expensive. At the end of the course 4 there is a bigger town with a supermarket. I would recommend buying food and water in Yeosu before taking the ferry to the island. 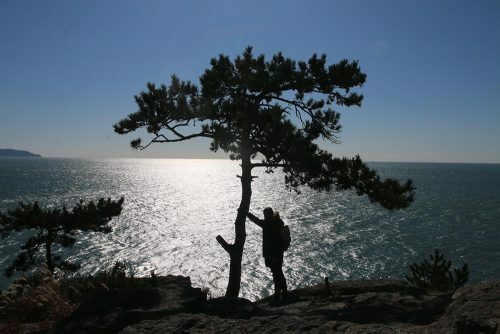 I don’t think that you need any special hiking equipment such as gloves or poles. You don’t need to climb at any point so the basic sports clothes will do the work. 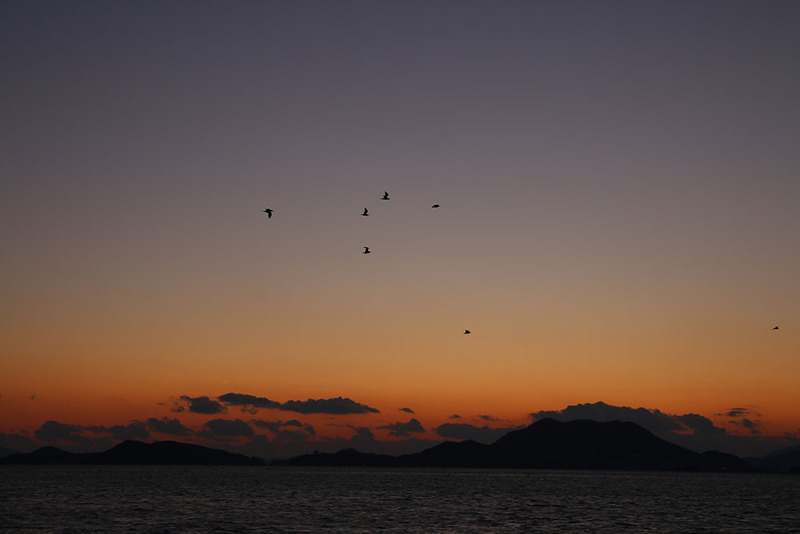 As the island is not connected by land, you have to take a ferry. There are regular ferry’s from Yeosu city center and from Dolsando island to the Geumodo. The timetable might vary in different seasons, so I recommend you to confirm the timetable with the owner your accommodation to find the most suitable option. 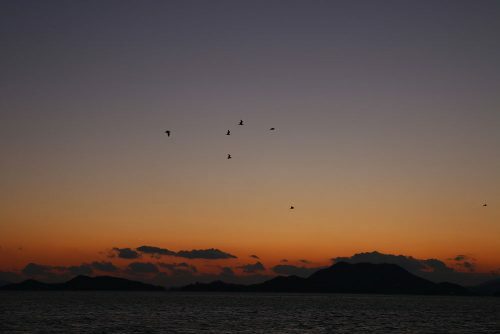 Once in the island, we shared a taxi with other group of people to the beginning of course 3. 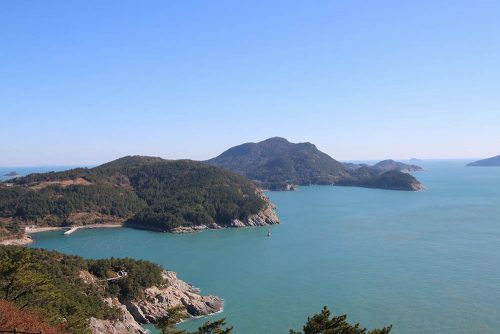 To come back, we took a ferry directly from the town located at the end of course number 4 to Yeosu city. Make sure you to confirm the timetable in the pier before taking the ferry to the Geumodo. 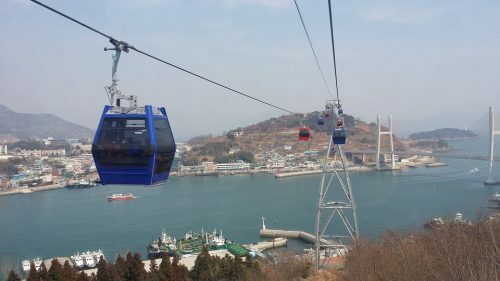 The cable car of Yeosu is the emblem of this city. 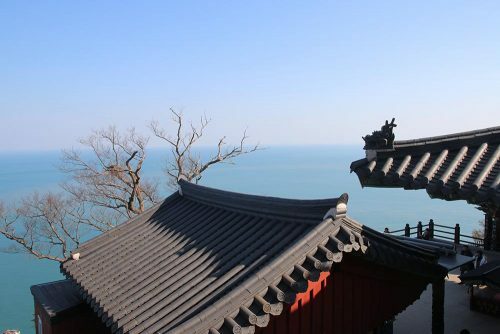 The panoramic view with the sea under you feet is amazing. You can take the cable car in any of the two sides; Yeosu city and Dolsan-do (Dolsan Island). You don’t need to book the tickets in advance, just head directly to any of the stops. Make sure to check the weather forecast because they can stop the service if the weather conditions are bad. In my case, one day it was closed because of the strong wind. 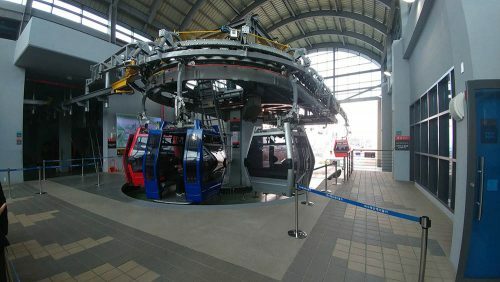 There is an extra cost if you choose the crystal cabin, which is transparent and you can see sea. 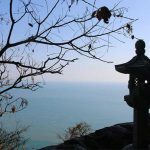 They open every day, including public holidays. 백반 is a typical Korean set menu style meal. You just order 백반 [baegban] and they will serve you the menu of the day. The food menu slightly changes every day, in some restaurants more than in others. I recommend 로타리 restaurant because it’s a very traditional place with an amazing quality price and a great local atmosphere. An old woman runs the restaurant and their specialty is the crab. 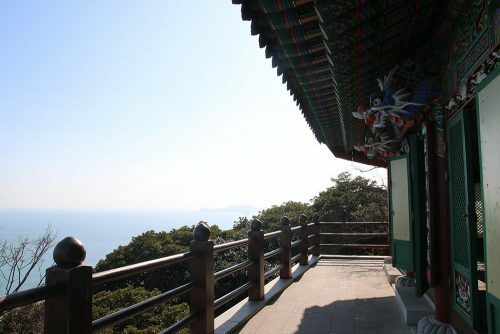 When we went there, the menu consisted of two main dishes; crab soybean soup and a marinated pork meat. 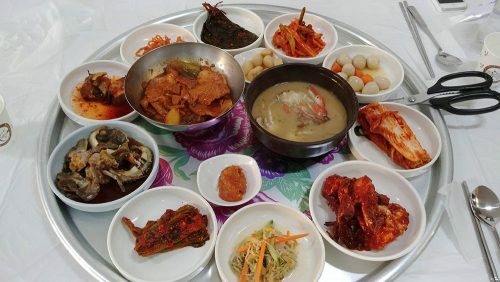 Then, there were many side dishes; raw crab, quail eggs, fish, spicy crab, dried fish, kimchi and other vegetables. The menu might slightly vary every day or every other day. 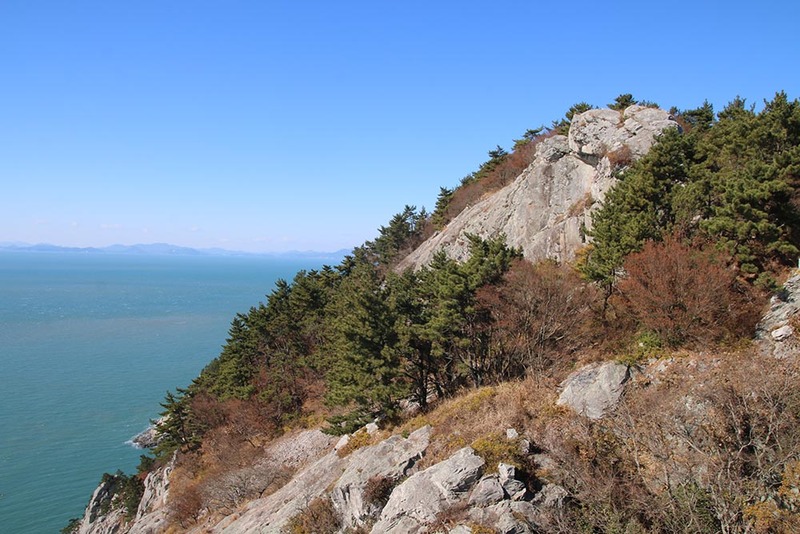 The price is of ₩7,000 per person. This includes the set menu with unlimited refill of food and water.